The other day I was blown away by the concept that Einstein’s theory of relativity changed how we look at the human body, health, and wellness. Because E=MC2 it means that energy IS matter, but at a different vibratory rate. Everything is made up of pure energy. Frequency Healing is at the cutting edge of this realization. Because we are fields of energy, we can be put back in tune by other fields of energy. I live in the Bay Area of California. Once I visited the Exploratorium and one of the science exhibits there would demonstrate how different frequencies have effect on one another. Some add while others can exactly match and turn a wave into a straight line. Industry has a lot of use for frequencies, and there are many U.S. patents. The medical world uses frequency in many applications. UV light stints are put inside the body to clean blood infections. It’s amazing. 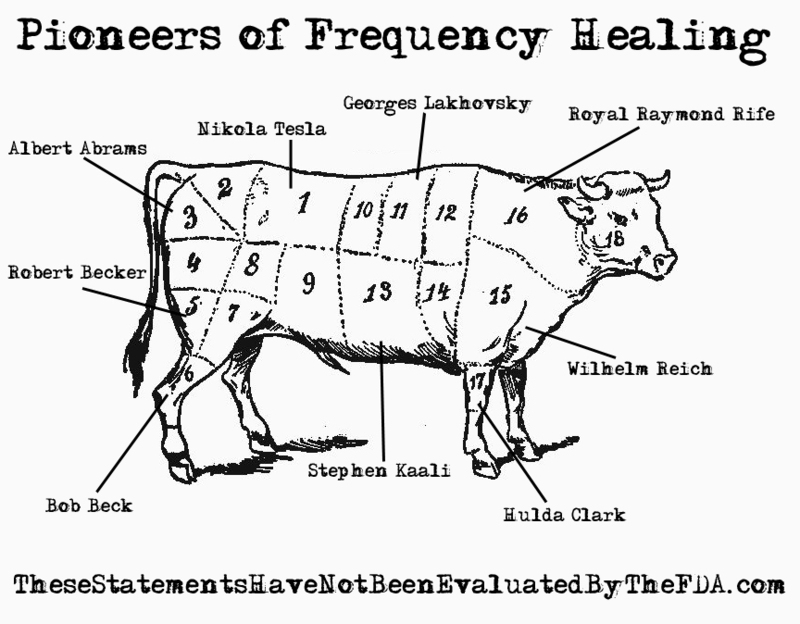 Using frequencies to heal the body is a science that began over 100 years ago when Nikola Tesla noticed that being around frequencies had healing effects on his assistants. Tesla’s work with Georges Lakhovsky is nothing short of miraculous. They built a Multi Wave Oscillator that would bathe the body in frequencies, and the patient would resonate back to health. This entry was posted in Secrets of the Universe and tagged albert abrams, bob beck, cancer, cancer research, conspiracy, cures, georges lakhovsky, hulda clark, hulda clark zapper, nikola tesla, royal raymond rife, the government is evil, wilhelm reich. Bookmark the permalink.